Bring your entire family on your next camping trip when you come to Olema Campground in Olema, California. At our dog-friendly campground, you can ensure no family member, no matter how furry, is left out. Make sure your next camping trip is as stress-free as possible when you come to us. Whether you'd like to pitch a tent or travel in a motorhome, we offer 187 camping sites so that you can enjoy your time comfortably and securely. Come to the campground that brings the comforts of home to the great outdoors. We offer a washing machine and dryer facility as well as bathrooms and hot showers, so you can stay clean while you rough it. Cook up some great hotdogs or s'mores at the fire pit before chowing down at the convenient picnic tables we have at each site. Explore, hike, kayak or ride horses or bikes on 65,000 acres of park land filled with wildlife that you can capture on camera. Whether you'd like to have your wedding in a rustic setting or just relax at a picnic, we offer meadows and wooded areas that are truly breathtaking and memorable. 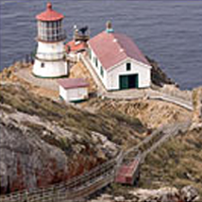 Obtain all your daily essentials at the local grocery or hardware store, located just two miles away in the town of Point Reyes Station. The hardware store carries all types of sports equipment and some camping and RV supplies. There are interesting shops and restaurants in Olema and Point Reyes Station. Stop by the campground office and we will be glad to give you information on all the local businesses. Contact us in Olema, California, to learn how you can reserve a spot for your next camping trip.